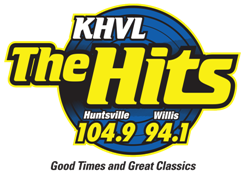 You have a chance to win great prizes on The Hits! Backwards Tune– Weekdays at 7:35 am, Bryan plays an iconic hit BACKWARDS. Can you make it out? 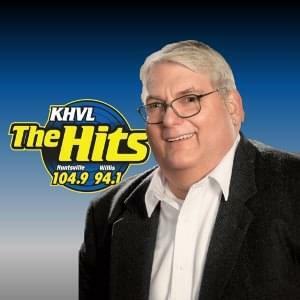 The Hits Hot Lick– Weekdays at 8:35 am, Bryan plays a 2-second musical lick. Can you name the song? The Big Finish- Weekdays at 3:05 pm, Glenn plays the final few seconds of a classic hit. Can you name the song? The Hits Ticket Blitz– Here is your chance to win tickets to Bearkat sporting events, concerts and area attractions. When you hear the Ticket Blitz sounder, be caller #8 at 936-438-8840, and you win! The basic rules for playing any Hits contest are: You must be 18 or older to play and you or a member of your household, can only win once every 30 days. All calls are recorded for possible on air playback. Other General Rules may apply. Please be aware that prizes are intended for the personal use of the contest winner. Any attempt to sell the prize or otherwise profit from the sale of a free prize will be considered fraudulent and will disqualify the winner from all future contests on KHVL, KSAM, and any other HEH Communications properties.